Edward's vision of a land far across the sea brings him hope that his father is alive and well, and didn't perish in the storm. If only he could reach the island and look for Dad. When he rescues Bur, the mysterious young man from the waves, Edward is given the chance to attempt the perilous quest, but time is fast running out . . .
Patricia Elliott has written nine novels for children and young adults. 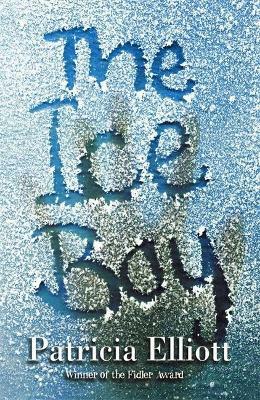 Her first novel with Hodder, The Ice Boy, won the Fidler Award for a First Novel and was shortlisted for the Branford-Boase among other awards. Her second, Murkmere, was long-listed for the Guardian Fiction Award and she has since been short-listed for many others, including the Calderdale and the Wirral Paperback of the Year. Her most recent YA is a Victorian Gothic, The Devil in the Corner. Her new MG series, the Connie Carew Mysteries, is set in the Edwardian period: The House of Eyes and The Ship of Spectres. Patricia was (and is!) a voracious reader and always scribbled stories during a childhood spent overseas. She worked in publishing in London and in bookselling in New York before taking an M.A. in Writing for Children. She has been a tutor at Morley College, London, and in between writing now leads workshops for both adults and children, including Chelsea Young Writers. She is an active member of CWISL (Children's Writers and Illustrators in South London). She is married, with two sons.